Un cruce de caminos entre la búsqueda del efecto haze sativo con una floración más rápida y un aumento en la producción. Dos plantas muy parecidas en su concepto de búsqueda, cruzadas entre ellas, ambas seleccionadas entre variedades haze y skunk. From the fertile mountains of the Himalayas this train wreck comes to transport you to the deepest valleys of the KUSH. It's a cross between two very stable indica strains. Directly from Oregon, one of the most hype cuts to date. Chempie is our new triple hybrid. One of the most popular plants of the moment, CRITICAL MASS, with a very well-known reputation, is polinized with our more powerful DOUBLE GLOCK so as to obtain one of the most quick and productive hybrids of our bank, CRIMINAL +. Do-G is a hybrid of White Fire Og a.k.a Wifi #43 and our reversion of Do-si-dos. This potent 100% indica strain comes from the most remote Afghan valleys, and we are now offering you an amazing selection of this potent 100% indica strain that has everything you could hope for. Fuel OG is a job that begins with the famous clone of New York City Diesel, a variety with a taste very demanded by professionals OF extraction and collectors of terpenes, and continues with the arrival of the famous OG Badazz, a plant powerful and shades OG creamy. 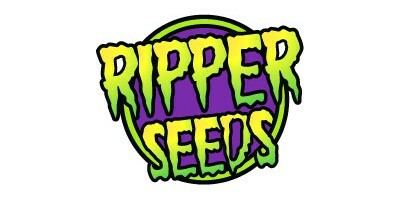 Ripper Seeds presents a limited edition release of Lemon Skunk x White Widow in the form of feminised cannabis seeds. 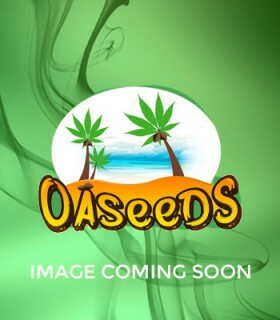 Lilly x OG Badazz by Ripper Seeds, is a modification of its Acid Dough variety based on a different selection of Lilly, a limited edition feminized seeds. From the exquisite selection of original plants, maintained during decades, we bring you a hybrid in the purest OLD SCHOOL style.A cross between “Original Cheese” the most famous clone in the United Kingdom and the most powerful Afghan selected at the late 90s, “Black Domina”. One of the known best OG genetic lines in U.S.A. comes Ripper Badazz to satisfy the most savvy palate. A variety that will leave its mark for its incredible balance between taste and effect. A diamond that we met in 2002 in one of our trips to Holland. For more than a decade, this strain has been in all of the menus of the coffeeshops due to its aroma, distinct citric Haze flavour and its “ripper” effect even for most experienced users. Sideral is one of our first works which we used later to develop Zombie Kush. An ancient clone of Lavender Kush was pollinated by our brilliant Amnesia. The goal was to get a hybrid with a wide and intense range of aromas and flavors. After much effort we can introduce to our catalog one of the most appreciated varieties by genetic collectors. From a cross between our most awarded strains, Ripper Haze and Criminal +, we bring you TOXIC, a hybrid bred with the intention of achieving a high production plant both of flowers and of big trichomes. We have pollinated the original UK Cheese clone, selected more than a decade ago by the collective “Exodus” with a Bubba Kush clone that provides a great quantity of trichomes and a distinctive aroma of moist soil with sweet hints of licorice. From the selection of one of our first genetic search works, an old Lavender Kush clone was pollinated by our brilliant Amnesia. From there a clone that we named “Sideral” was selected and we decided to pollinate it again later with our Bubba Kush.